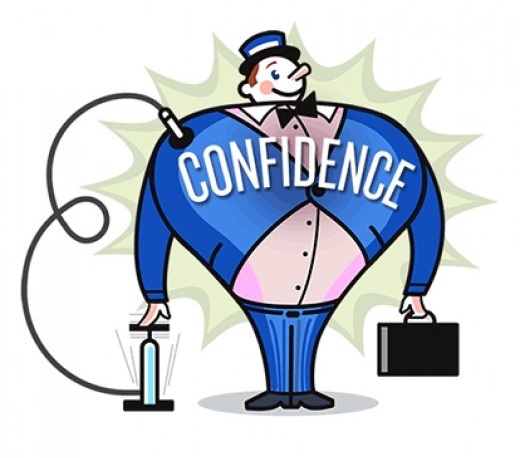 Home Motivation & Gyan Busting your phony confidence! 50,000. Yes, that’s the number. 50,000 students will take CLAT on the 8th of May. To get into any of the tier one colleges, you’d need a rank of at least 200. That’s 1 kid out of 250. There are at least ten thousand people who are taking the year-long coaching course in some or the other institute. There are also those who’ve dropped a year and are frightfully determined to make it through, for their only option is to do so. And thankfully, there are those who are so chilled out that they even might not know the pattern of the paper. But, I’m sure you are doing everything you can. You’ve joined a coaching institute which has displayed pictures of all the nerdy top rankers and has boasted about their success. The faculty at those institutes keep you motivated and well, you are! With a broad smile. And everything seems perfect. No worries at all, eh? Let’s see what you know. How many of you know the name of the Chief Minister of Arunachal Pradesh, and the imposition of Emergency in that state? Easy question? CLAT will not ask this. Now, how many of you know how many times state Emergencies have been imposed since Independence? National Emergencies? Pause. Think. No? There! This is exactly the kind of thing CLAT might ask. Still confident? Let’s give it another try. A simple one, this time. How many of you are aware of the recent judgement of the Supreme Court on the NJAC? Most of you? Great. Then, name the judges who delivered that judgement. Can you? What if CLAT gives four different names and asks you to pick the one that dissented? Aah. Gone case, no? “I was a medical aspirant, preparing for the medical entrance exams. Somewhere around March 2010, I stumbled upon a web forum which had information about CLAT, Law Schools, etc. Now, as a kid, I did want to study law, but then medicine took over adolescent ambitions and I was deeply into medical coaching, but my studies there weren’t as satisfactory. I had read about the syllabus for the CLAT, started solving a CLAT preparatory book, and somehow everything seemed tailor-made for me. I never had a problem with GK. I followed current affairs closely and I did have critical opinions on some issues. Legal reasoning I practiced, and for a science student Math and Logical Reasoning were not much of a problem. I absolutely did not expect a high rank. I am grateful to God for that. With regards to coaching, I never thought it was needed. Coaching classes do give you direction, focus, and loads of (however, at times, unnecessary) competition and pressure. The thing with much of our work with CLATGyan (I’ve been there since our inception), is that we observe most kids obsess over the exam as such, rather than the dream of becoming a lawyer. One must realize that CLAT is only a hurdle which has to clear to join an NLU and that the skills needed to do well in the CLAT are expected of every lawyer of high calibre. Legal reasoning is probably the only subject you have to ‘learn’, and that also is no problem these days because during our time we had to memorize a lot for Legal Knowledge (where we had to know what a fiduciary relationship is, what is ‘pith and substance’ and other such which, in my opinion, should not expected of a pre-law student). See there? I’ve been teaching at a lot of coaching institutes. And all I see is these confident kids who are so sure that they’re doing it all right. As a matter of fact, you aren’t! You probably didn’t know the answers to two simple current affairs questions, remember? And there’s static GK to make it all wonderful! The entire point of this piece is to make you panic and not to freak you out. -sigh- Grow up, kids. And realize that there’s a lot to do and the time’s running out. How much ever you prepare, it is still going to be one step short of the ideal. So, buck up. Less than two months left. Do whatever it takes to put you in that law school of your dreams. Don’t give yourself any more excuses. No reason to panic, Nishit 🙂 You just need to pull up your socks and start working harder! A request, Could you please, provide answers to the questions mentioned in the article. Google did not provide a satisfactory answer. Thank you for this. I think I needed to hear (read) this. How would you recommend we cover GK? I’m especially worried because it’s my weakest section. Thanks for this much needed wake up call . What do you feel about the (guarantee of an NLU seat, Choose us and we assure you it will be the best decision of your life; Comprehensive coverage and GREAT results) crash courses? Are they really that miraculously efficient? The ones in my institute shall last for 8 hours everyday starting from 29th March. Leaving no time technically for self-studying. I am confused, should I enroll for these or not? I think it’s better to mention that I have taken year-long coaching and am prepared (not confident ;] but prepared none the less). Sadly, I knew all of the questions you asked in that article. (I realize that that is nothing great) But I did. In fact, I try and brush up on knowledge as much as I can… but I still fail to achieve a decent score. That is the reason this is sad.